Our website is in the list of top 40 Law Blogs of country with 18th rank. 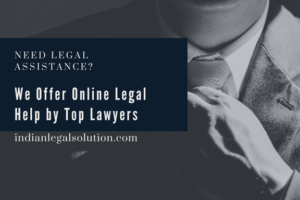 We are a registered Group ‘Raghvendra Kumar and Associates LLP’ – LLP identification number : AAO-0844 of Lawyers and Law students continuously working to Provide Online Legal Assistance to Common People without having difficulty in finding genuine and Expert Lawyers Offline. Apart From other Legal Website, we go for Quality not for Quantity.